Several months ago, I went for my first ever relaxing massage. I stress the word 'relaxing' as I've never had one of those before. I've had deep tissue massages where I couldn't walk for three days afterwards, but I usually have them right before going to a chiropractor appointment to loosen my muscles for optimal adjustment. I've never gone into a spa willy nilly and asked for a 'One With The Earth' rub down. Unfortunately, I'm not into massages as much as I'd like to be. I love the idea of them, almost everyone I know gets them, but I overthink them and back out. I think it's the thought of someone touching me so intimately that freaks me out, which is weird because I'm a touchy-feely person by nature. Remember that episode of Friends when Ross massaged that old man with salad spoons? I'd be okay with the salad spoons. This particular visit happened two thousand miles away from home while I was away with my girls for the weekend. I was accompanied by my friend, Rhonda, who graciously showed me the ropes, otherwise I probably would have failed life. When we walked into the spa facilities, we were instantly greeted by two lovely massage therapists, Juju and Calliope - or something like that. Just note that names will probably change as I go. We took the liberty of choosing which package we'd most enjoy before we arrived so the therapists knew which one was best equipped to work on whom. I opted for the '"Inner Peace" massage, which was described as a "subtle, but refreshing and rejuvenating experience". Rhonda chose the "Work It Out", which I envisioned them twisting her into a human pretzel and throwing their elbow full throttle down onto her spine as she begged for mercy. I privately changed into the provided robe that smelled as if it was scented with a basil spaghetti sauce infused oil and made my way to the serenity room. The lights had been dimmed, panpipe music was playing, and tables had been uncovered. Once I got myself situated under the hottest blanket known to mankind, I situated myself into the head rest and did my cleansing breaths to relax my freaking out nervous system. Zanthibia came back into the room and began speaking directly into my ear in very soft, but in a super weird voice and drawn out raised sentences as if she was asking me a question. "Okaaaaaay? I'm goooing to starrrrrt with your loooooower baaaaack? Try to relaaaaax?" Yep. This is gonna be harder than I thought. "I'm gooing to plaaaace some eucaaaalyptus oil under hereeee? It helllllps to open the pooours?" In that moment, as she stepped away, her running shoe caught the bowl and created the loudest racket that room probably has ever heard. The healing stones tumbled out, the oil spilled onto the hardwood floor, and the bowl rolled across the room to the other side. It took all of me not to wet myself with laughter. After a few seconds, she comes up to my ear, "I am sooo soooooorry? I'll have alllll this cleaned up in a jifffff? Just reeelaaax?" My lip was bleeding from biting with restraint, friends. BLEEDING. Once we got going, it was fine until she went to work on my gluteus maximus and upper legs. I didn't realize massage therapists went down that far because I left my yoga pants on. This explains the super weird look she gave me when I gave her a super weird look when she told me I can take my pants off. Um, NO, Saharadina. My pants are just fine where they are, thankyouverymuch. Now I get it. As weird as it was and despite my best yoga pants have oil stains all over them, my hips had never felt better. The hour went by surprisingly fast and I was surprisingly relaxed. Chrysanthemum waited for me to dress and handed me fruit-infused water and a water cress cookie once I descended back down to earth. Ack. Watercress? In a cookie? Uh....sure? I namasted myself out of there and headed back to our hotel room. About a half an hour later, I felt awful. My stomach was flipping, I had an awful headache, and I thought I was going to be sick. I thought these massage situations were supposed to make one feel better? I messaged my girlfriends to ask them what was going on because I thought I was going to pass out. Turns out, all those fun free radicals (or impurities) that get caught in one's body likes to run rampant when they're released during a massage. Why wasn't I told this? The best way to rid them is to take a hot, epsom salt bath and drink one's body weight in water. Gee, thanks for the lesson, Serathina despite telling you this was my first time. After a while, I felt much better, but I missed out on sightseeing with my girls. So, if you've never been for a body massage, I'm going to share what I've learned so you don't experience what I did. They will touch your bum. I feel like I need to tell you right off the bat. If you don't want your best yoga pants to be ruined, I suggest you strip down to your skivvies. I wasn't comfortable with that at all, hence the weird look I gave her, but trust me, you'll feel amazing. My second massage was amazing and I still couldn't believe how incredible my hips felt afterward. And just know it's completely acceptable to go naked. If you're a wuss like me and don't want the "Work It Out" massage, tell them the pressure you're comfortable with. You don't want to be walking out in pain and feeling the effects three days later. That defeats the purpose of why you're there in the first place. Don't eat before you go. Rhonda mentioned this to me and I was so glad I didn't because I probably would have been physically ill after the massage. I can't imagine what a mess that cheesebur- you get the picture. One may never know how one's body will take to massage, so it's best to go on a relatively empty stomach. DRINK LOTS of water before and after the massage. Take a hot, epsom salt bath afterwards. It's one of the best way to release those toxins so they don't reabsorb back into your body. If you can afford it, go regularly. You'll get better overall results if you do. 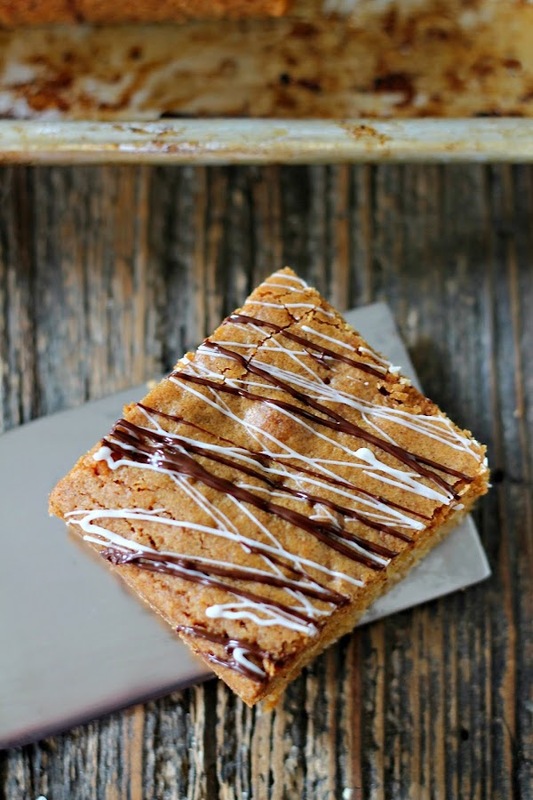 MAKE THESE BLONDIES beforehand so you can pig out while watching rom-coms later on while relaxing in your comfy clothes. Preheat oven to 350ºF. Prepare a 9" x 13" baking pan lined with aluminum foil or parchment paper. In a mixing bowl, whisk together flour, baking powder, baking soda, espresso powder, and salt; set aside. In a medium saucepan over medium heat, melt butter. Add brown sugar and stir to melt. Add in rum, molasses, and vanilla extract; stir to combine. Remove from heat and slowly add in beaten eggs. The butter mixture should be slightly warm, but not so much that it will cook the eggs. Stir everything together until fully incorporated. Stir in macadamia nuts and coconut. Pour blondie batter into prepared baking dish. Smooth over with an offset spatula. 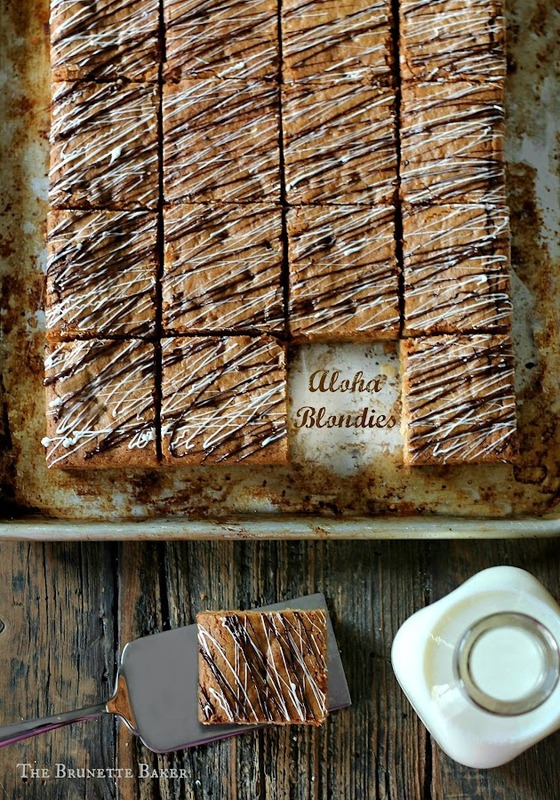 Bake for 35-40 minutes or until blondies are a golden brown. Remove from oven and allow to cool completely. 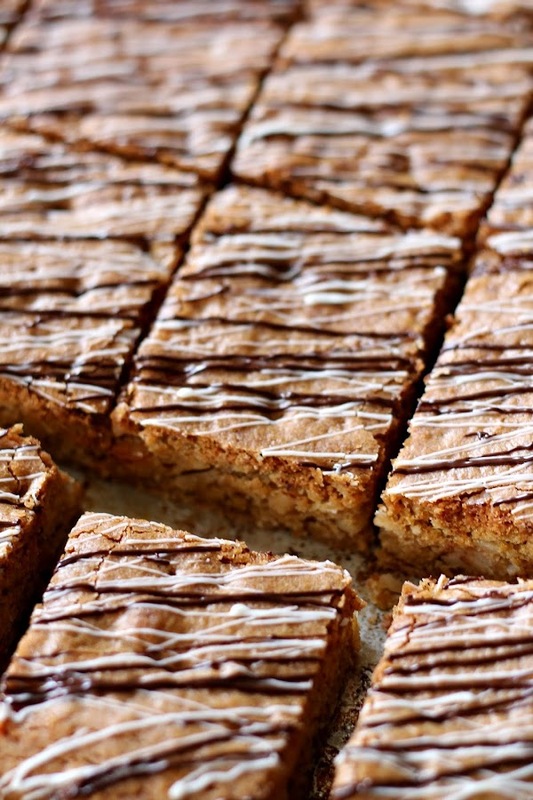 Remove blondies from pan. 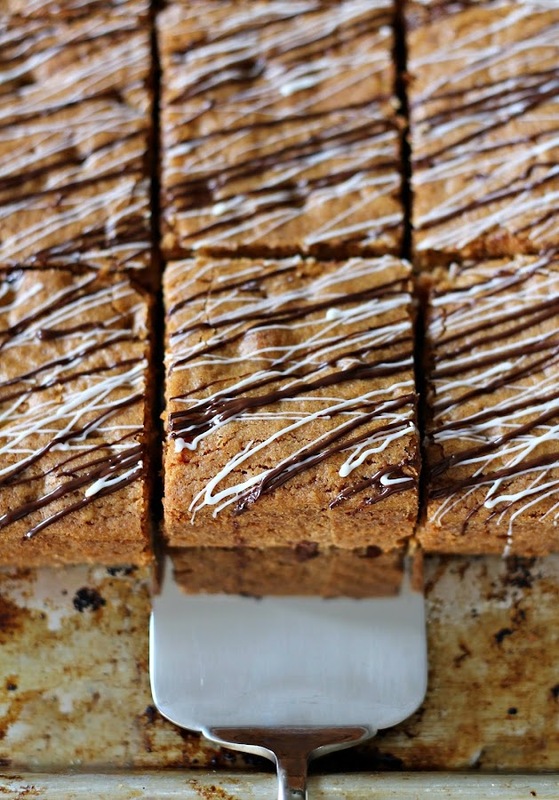 Melt white and dark chocolate and drizzle over top. Cut into squares. 2-those massage tips are helpful! GET NAKKID! What a shame to keep your pants on. They aren't going to see anything they haven't seen before... and they really don't wanna see it anyway.... Lol!